When scribbling the layout for this book cover I envisaged colouring it in summery greens and yellows... Some where along the line it turned dark. And purple. Then I went the whole hog and went for a bit of zingy lime. 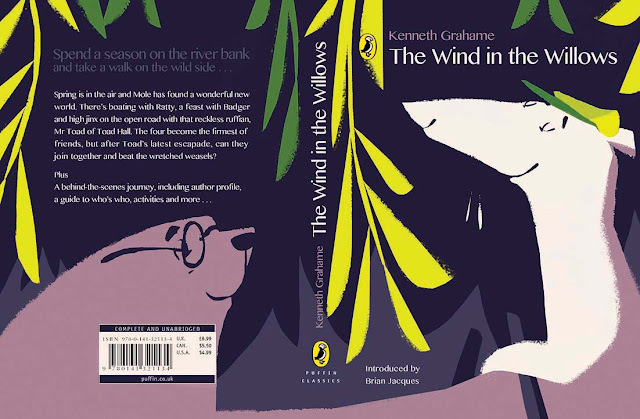 Hopefully it still makes you think Wind in the Willows? It's lovely — really fresh-looking. Bravo!